Michael Hill joined the telecommunications industry in 2005 and since then has filled multiple roles for the On Trac team, including field experience as well as vehicle and property supervision. Then in 2009, Michael served in our system operations as a local FTTH Project Manager. 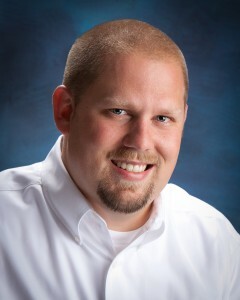 Michael was next promoted into the corporate business area to assist in daily financials. As Accounts/Payroll Manager, Michael oversees payables and receivables, company payroll, and many human resource functions. He also assists our Chief Financial Officer in day-to-day functions of business management. Michael’s loyalty and hard work make him a great asset to our company. When not crunching numbers, Michael is out enjoying time with Laura and little James Michael or hitting the golf course or bow hunting.